Before 2018, Second Saturdays at The Space Upstairs had unchoreographed spontaneity and energy unlike any venue in the city. These events were built around improvisation and interaction, giving the performances an unpredictable, organic air. It was about engaging with a moment, being present, confident, and open to possibilities. 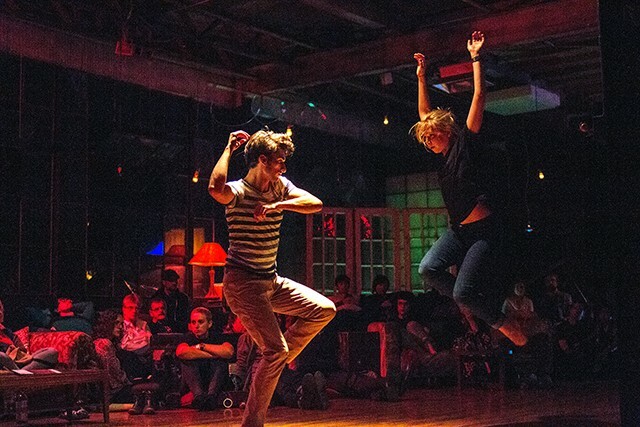 They were an integral part of Pittsburgh’s dance scene. And after a year-long break, Second Saturdays is back. 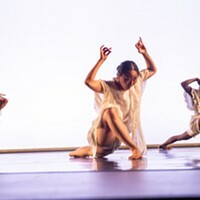 The series focuses on connection and Porter is using a network of dancers and musicians already part of the Second Saturday family. Feb. 9 marks the first of three shows in the spring featuring the sounds of local group slowdanger. 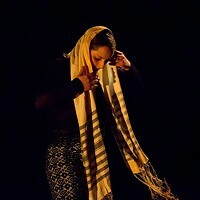 Second Saturdays are founded on post-jazz improvisation, which for Porter, refers to her background in tap. A good tap dancer has a conversation with feet through beats, patterns, and pauses. Just like an improvisational jazz musician, tappers don’t dance to the beat, they tap to contribute sound. Dancers at Second Saturdays don’t dance, they play. They’re not dancers, they’re visual musicians. Porter teaches this technique by imitating instruments with the body, training dancers to engage with the music like a traditional musician. Second Saturdays are orchestrated by Porter, but she acts more like the event’s invisible host. To her, it’s like “guiding smoke.” She reads the room, feeling what the space needs. If a moment needs vibrancy, a strong presence, or an individual style, she picks dancers from the audience to join players on the floor. Porter never knows what a Second Saturday is going to be. They never truly begin, and they never end.